Submit your mailing address and we’ll randomly assign you a Secret Samhain, and you, as a Secret Samhain for someone else. Then, on October 20th, each Secret Samhain will receive an email with their respective recipient’s info in order to send them a Halloween or horror-themed gift of at least a $20 value. Please read the verification rules very carefully. If you do not or cannot follow them, unfortunately, you won’t be eligible for Secret Samhain. You must add black@halloweenlove.com to your email service’s whitelist or contact list. Maintaining communication throughout the process is very important. You must verify your payment source. You’ll be charged a $1, nonrefundable fee by card or PayPal. You must verify your address. You’ll receive a verification code by postcard. You must send your gift no later than October 25th. You must verify your gifts, both the one you send and one you receive. You’ll verify the gift you send by providing a tracking #. You’ll verify the gift you receive by sharing it on Twitter @halloween with #SecretSamhain. That’s a lot of verification! Actually, it’s not too bad. Most of all the hard work is done on our end, and it should only take a matter of minutes on your end. We’d love to just keep it simple and look to the honor system, but we tried that the first year, and it didn’t go so well. 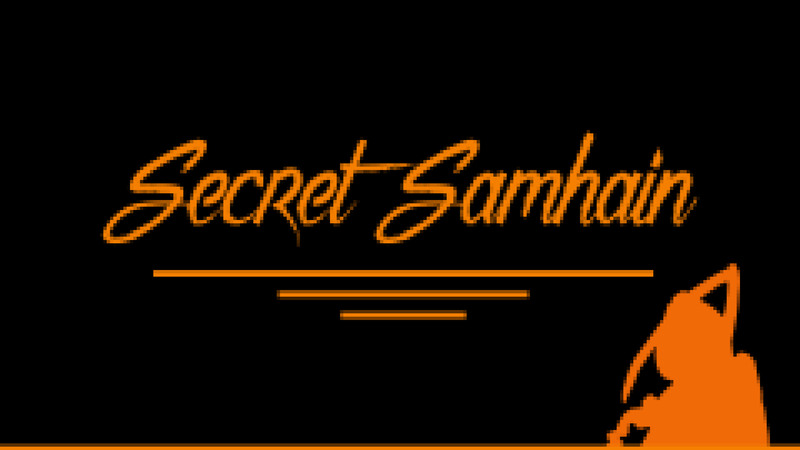 Join Secret Samhain for the October, 2019 gift exchange. Thank you and have fun ghouls! ← Castle Rock Season Finale: Is “The Kid” Good or Evil?